The lion’s mane jellyfish (Cyanea capillata) is the largest known species of jellyfish. Its range is confined to cold, boreal waters of the Arctic, northern Atlantic, and northern Pacific Oceans, seldom found farther south than 42°N latitude. 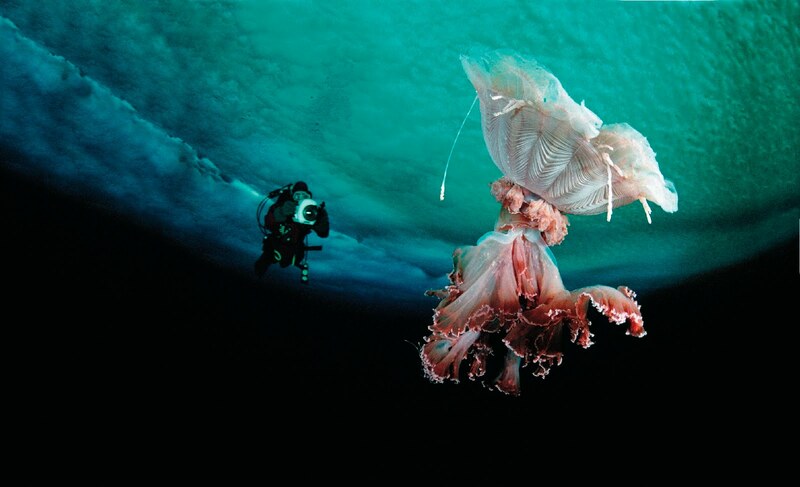 This jelly is also one of the longest known animals and the largest recorded specimen had a bell (body) with a diameter of 2.3 m (7 feet 6 inches) and the tentacles reached 36.5 m (120 feet). It was found washed up on the shore of Massachusetts Bay in 1870. The flower hat jelly (Olindias formosa) is a rare species of jellyfish occurring primarily in waters off Brazil, Argentina, and southern Japan. 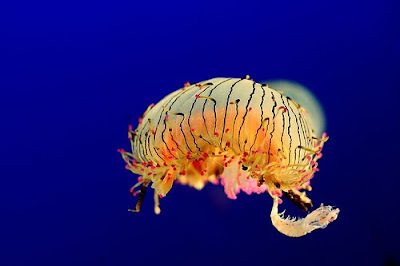 Characterized by lustrous tentacles that coil and adhere to its rim when not in use, the flower hat jelly's bell is translucent and pinstriped with opaque bands, making it easily recognizable. The flower hat jelly can grow to be about 15cm (6 inches) in diameter. Its sting is painful but non-lethal to humans. Its diet consists mostly of small fish.